Over the last several months many in the industry have been wondering just when Spotify will be listed on a public stock exchange and start trading it’s shares. Now there seems to be a somewhat definitive answer thanks to sources close to Variety. 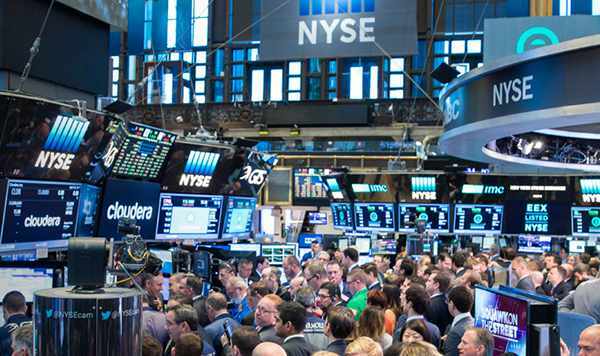 The company will trade on the New York Stock Exchange for the first time during the week of April 2nd under the stock ticker “SPOT.” This is according to sources at Bloomberg who first reported the story on Sunday. Spotify will forego the traditional practice of issuing new shares as well as raising new money in its initial public offering. In a recently-approved direct listing, existing stakeholders will instead offer shares to investors. This rarely-seen process doesn’t come with underwriters, so Spotify won’t have a share opening price. In a recent filing with the Securities and Exchange Commission, Spotify shares could be priced at anywhere from $90 to $132.50 per share, giving the company a valuation of up to $23 billion and some change. Major banks, including Morgan Stanley and Goldman Sachs, have been advising the company throughout this process. And despite the company’s huge valuation, Spotify remains unprofitable, as yet.